Replace lost, broken, stripped or rounded off screws. Our custom made steel screws have the standard Glock® 3⁄16" hexagonal head for a good fit on threaded aftermarket front sights. 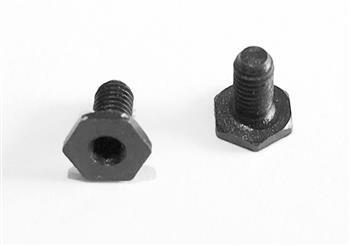 These are inexpensive, corrosion-resistant replacements for lost or dinged up screws that came with your sights. Use with thread-locking agent to ensure a secure installation. What sets this screw apart from others is that you can use a 1/16" allen wrench to set it up quickly and tighten the sight effortlessly unlike the factory screws.